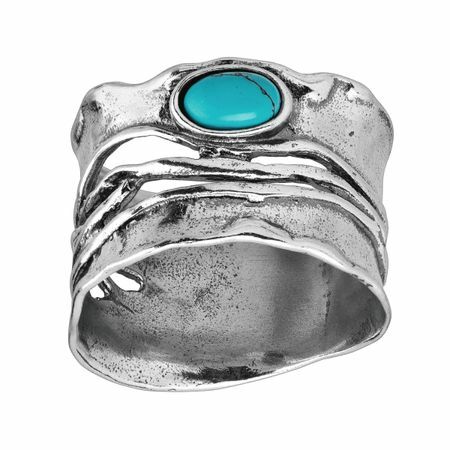 Perfect for those with an eclectic style, the Sanguine Ring features an off-center compressed turquoise stone and spaced-out bands full of texture and artistic flair. Ring face measures 9/16 inches in width. Piece comes with a ".925" sterling silver stamp as a symbol of guaranteed product quality.